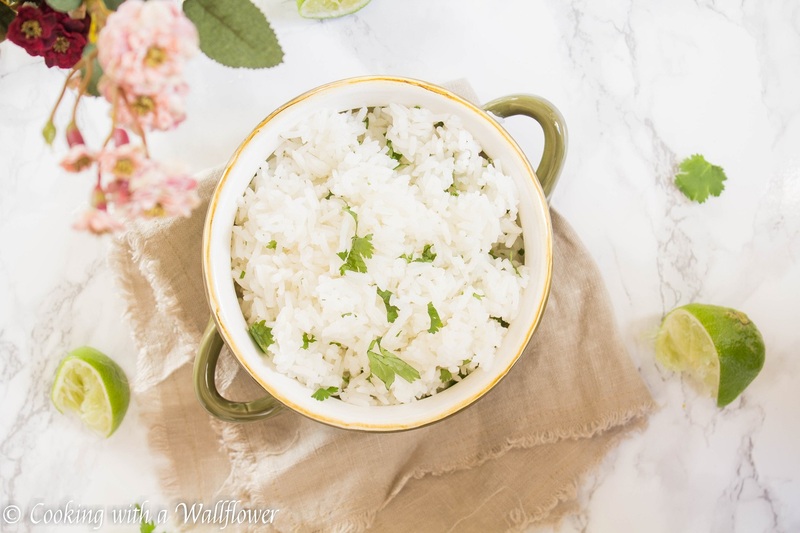 Delicious rice with the citrusy flavor of lime and refreshing taste of cilantro. 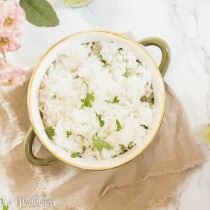 This cilantro lime rice is perfect for your everyday meals or in your burritos. And just like that, we’re in 2017, and the holiday season is over. I always think it’s a little sad when the new year starts. Mostly because the moment fall begins in late September, there’s so much to look forward to. So many holiday events to plan for: Thanksgiving, Christmas, and New Year’s. Then when it hits January, it feels like there’s not much to look forward to. At least, not until it gets closer to summer. Maybe that’s just me. And with January comes all these resolutions. I am so terrible at keeping my new year’s resolutions that I don’t even make them anymore. Instead, I set achievable goals for myself. Like traveling more, writing more, staying more organized. Things like that. Do you make resolutions? Or do you create goals? 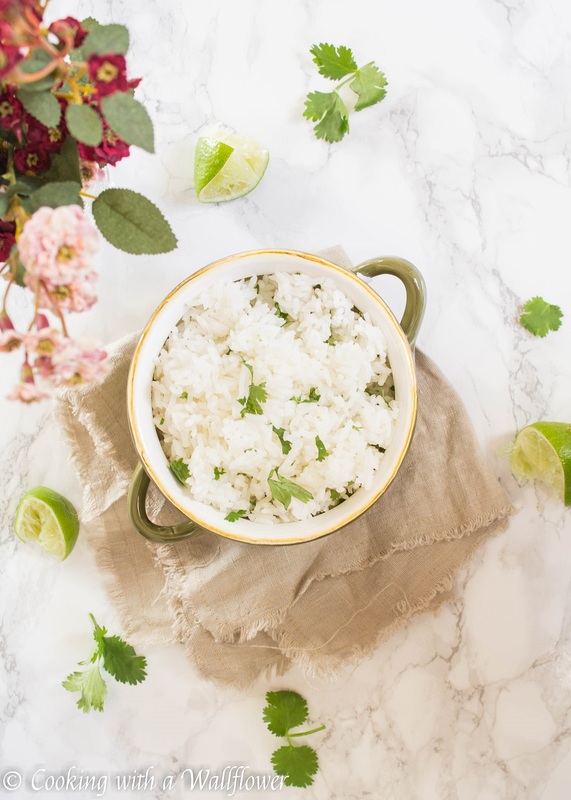 Today, I wanted to share with you a super easy recipe: cilantro lime rice. 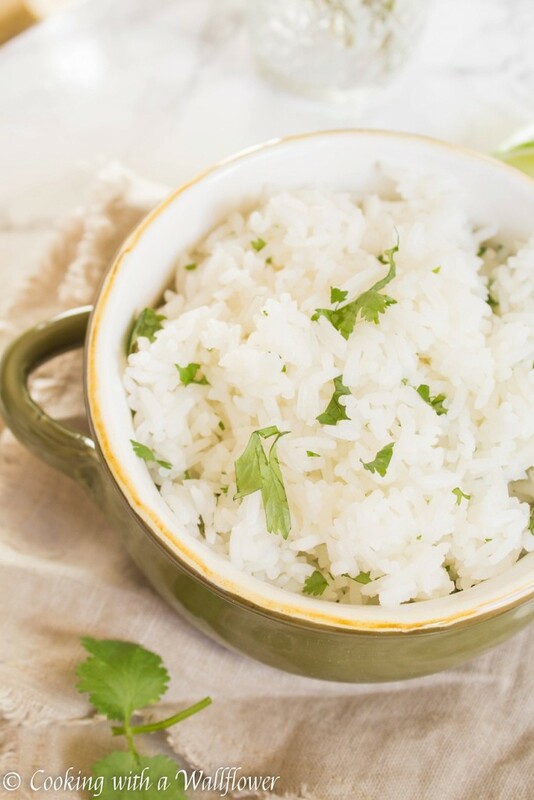 Sometimes eating rice can be so boring, especially when it’s a staple in your household. Yes, it’s a side dish so it’s meant to be eaten with other dishes. But still! So I thought we could change it up a little bit. I generally cheat when I make rice. We eat rice almost everyday in our house. Um, Asian household. What a surprise, right? So we invest in a rice cooker. Makes my life so much easier. You place rice in the rice cooker, and then you add water. Then with a push of a button, all you have to do is wait. But I have cooked rice on the stove before too. The only thing is you have to keep watch of the rice to make sure that it doesn’t burn at the bottom of the pot. Either way works. Use whatever method is comfortable for you. 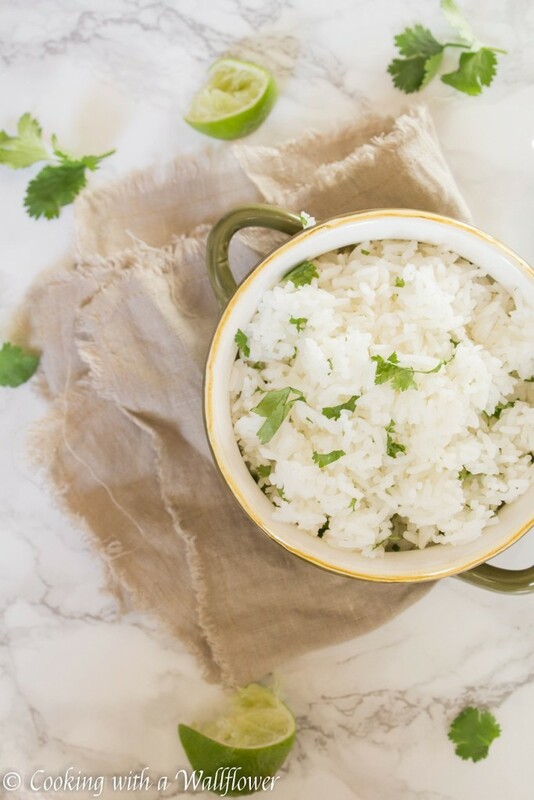 Add a little bit of lime juice, finely chopped cilantro, and a pinch of salt to the rice. Combine until all the ingredients are evenly incorporated. The thing is, if you like your rice to be more citrusy, you can always add more lime juice. Or more flavorful with the cilantro, you can add more cilantro. This dish can be customized to however you like it. 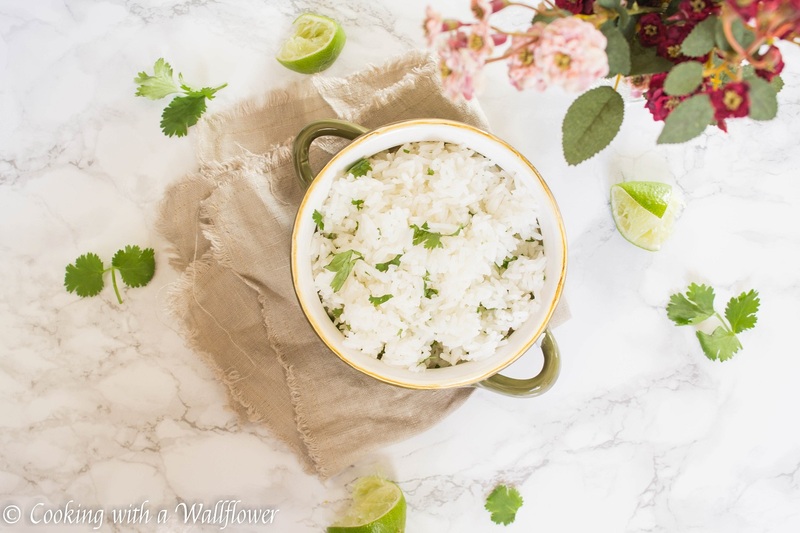 Enjoy this cilantro lime rice with your favorite dishes or add it to your burritos and tacos! Add a little bit of lime juice, finely chopped cilantro, and a pinch of salt to cooked rice. Combine until all the ingredients are evenly incorporated. This entry was posted in Entree, Gluten Free, Quick and Easy, Recipes, Sides, Vegan, Vegetarian and tagged gluten free, quick and easy, vegan, vegetarian. This is something I’ve been meaning to make ever since reading it here, and I finally did. I’m not Asian but I come from the Alps, so I gave it another cultural twist: I added some butter 😀 It was delicious!! Omg! Butter sounds amazing with this dish.